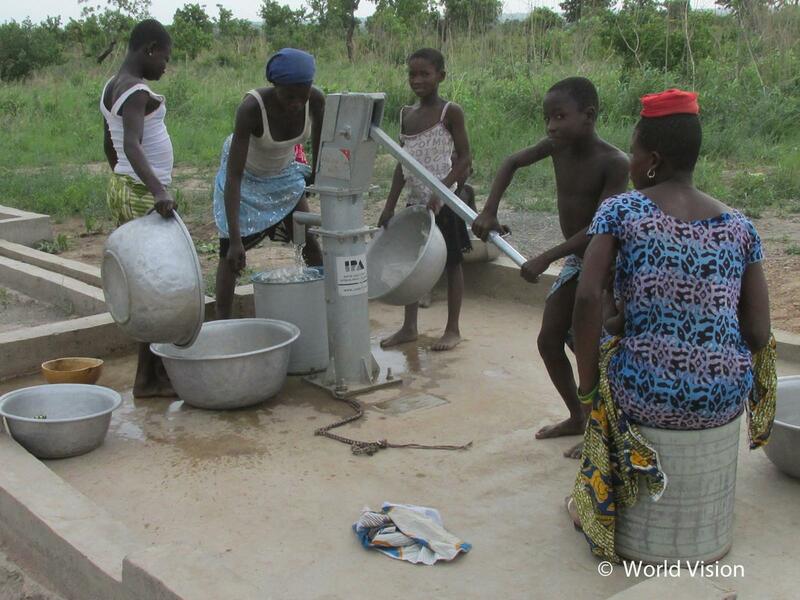 In 2015 we were able to provide access to drinking water to 3,000 people in 10 communities in the Zabzugu district. (See the completed project). In this second phase we will provide access to drinking water to 3,300 people in other 9 communities. 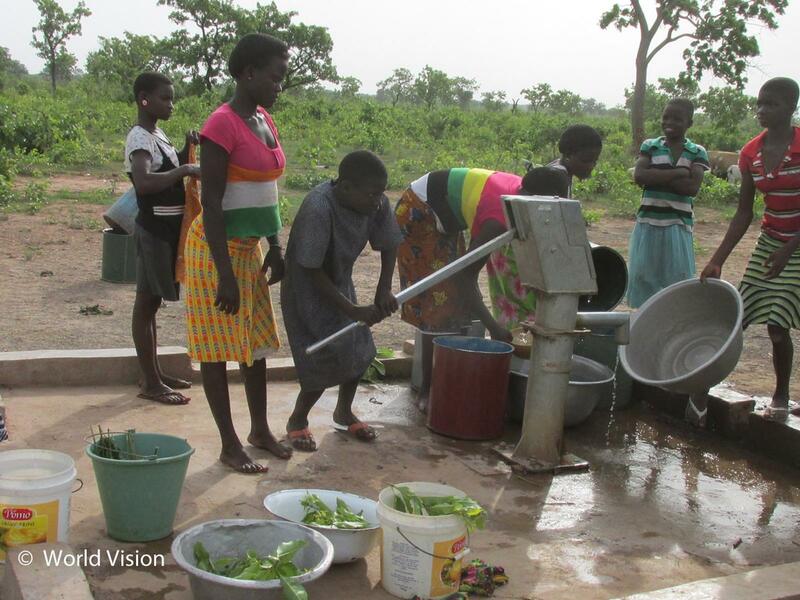 The indirect beneficiaries will be the entire population of the Zabzugu district, as the incidence of diseases related to the consumption of unsafe water will decrease and the productivity of the inhabitants of these 9 communities will increase. The Zabzugu district is the poorest in the northern region with an average monthly income of 60 cedis (24 €). There are special shortcomings in education, health, water and sanitation, infrastructures and socioeconomic development. Its inhabitants live mainly from subsistence agriculture, their main crops being corn, sorghum and cassava. Only 38.3% of the population has access to drinking water and only 15.2% has access to suitable latrines. 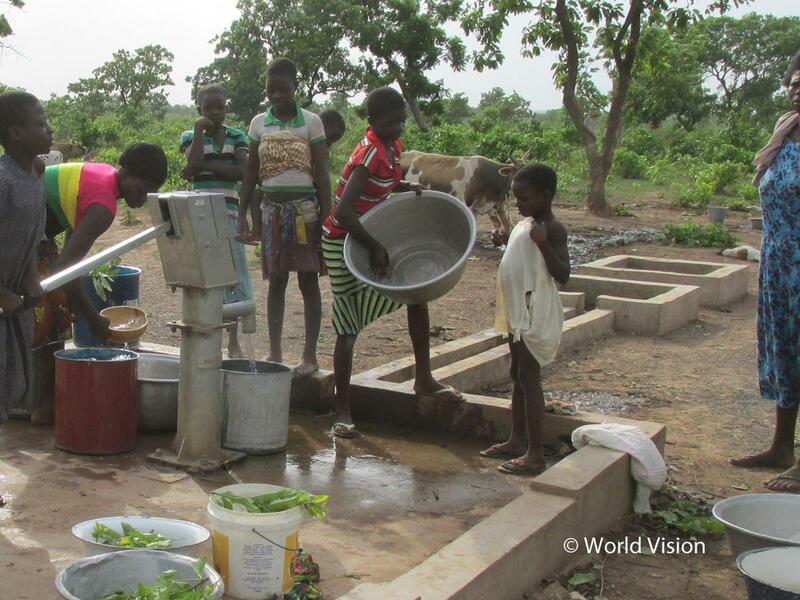 Some of these communities only have access to nearby streams, where they collect water, but where they also do their laundry and their cattle drinks, and therefore these are dangerous water sources. 50 out of every 1.000 newborn infants die before reaching their first year of existence and 100 more before being 4. 71.4% of the children under the age of 5 suffer chronic malnutrition and 52.1% suffer acute malnutrition. Moreover, the water flow varies depending on the season and there are communities that need to walk several kilometres to collect water. On the other hand, the hydrogeological conditions are very complex: water is found underground, around 45 metres deep and the terrain is very rocky, which makes it impossible to drill the wells manually, increasing the difficulty and their cost. a) To contribute to the reduction of the incidence of diseases caused by the consumption of non-drinking water in Zabzugu. b) To provide sustained access to 20 litres of drinking water per person and day to 10 communities, thus benefitting a minimum of 3,300 people. We will carry out pumping and water quality tests and finally, we will install the hand pumps and the superstructures needed to cover the wells and to ensure their correct use, in accordance with the standards of the World Health Organisation (WHO). To ensure a correct use and the needed maintenance of the wells, we will organise a water committee in each community, which will receive tools for the maintenance of the system. We will also train and equip two technicians (one for each five communities) to repair the systems. 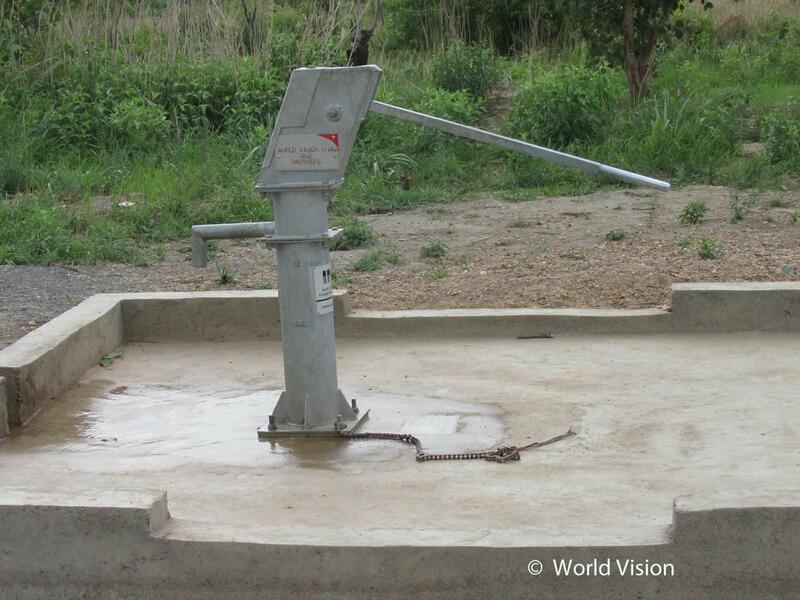 Finally, the community will get organised to raise the funds needed for the repair and maintenance of the hand pump. The project is included in the development programme of the Zabzugu area, which we support since 2004 and which will carry out complementary projects in the health, nutrition and education areas, as well as in the access to saving and credit. The development of the project will facilitate the access to drinking water during the entire year and will even go beyond that: it will have an impact on health and nutrition, benefitting children especially, thus reducing the diseases caused by the use of non-drinking water; children will therefore make the most of the education they receive and parents will be able to perform better in their everyday life. Moreover, the time spent by the population collecting water, usually women and girls, will be drastically reduced, giving them the option of studying or carrying out other activities, without taking into account the decrease of the dangers they need to face when having to travel outside their communities in the dry season.